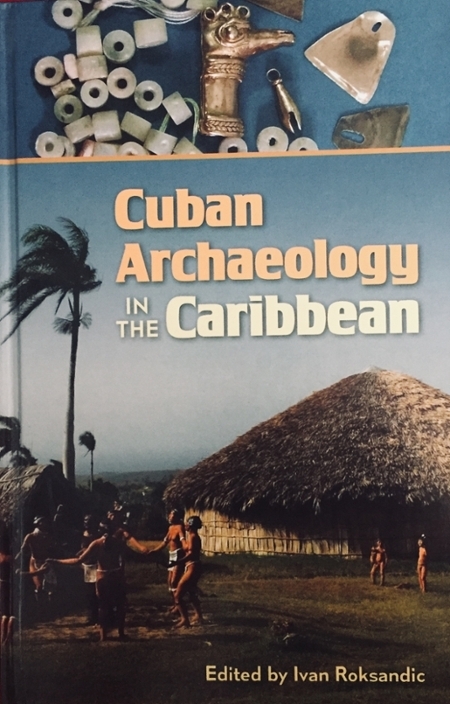 Cuban Archeology in the Caribbean, edited by Ivan Roksandic, has won a 2017 Choice Outstanding Academic Title Award. These awards a given to books that have been selected for their excellence in scholarship and presentation, significance of contribution to the field, and value as an important—often first—treatment of their subject. Only nine percent of the titles reviewed by Choice during the past year, and two percent of the more than 25,000 titles submitted to Choice over the same period, constitute Outstanding Academic Titles. As the largest--and most centrally located--island of the Caribbean, Cuba has seen successive waves of migration to its shores. Its early colonization, and that of the Greater Antilles, is complicated by population movements within the Circum-Caribbean. In this volume, Ivan Roksandic and an international team of researchers present a new theory of mainland migration into the Caribbean. Through analysis of early agriculture, burial customs, dental modification, pottery production, and dietary patterns, the contributors enable a very close look at the lifeways and challenges of the native populations. They decipher patterns of movement between the islands and present-day Mexico and Central America and explore the interactions between the islands’ inhabitants, including the fate of indigenous groups after European contact. Together the essays produce a view of the early Caribbean that is rich with dynamic networks of exchange and matrixes of cultural influences, more intricate and multilinear than previously believed. With contributions from archaeology, physical anthropology, environmental archaeology, paleobotany, linguistics, and ethnohistory, this volume adds to ongoing debates concerning migration and colonization. It examines the importance of landscape and seascape in shaping human experience; the role that contact and interaction between different groups play in building identity; and the contribution of native groups to the biological and cultural identity of postcontact and modern societies. Ivan Roksandic (PhD University of British Columbia) is a broadly trained linguist with a background in archaeology, epigraphy, history of script, and mythopoeia. His current research deals with indigenous languages of South America, specifically with Arawakan and Chibchan language families. He is interested in problems such as the subdivisions of Arawakan family and the spread of Arawakan languages across northeastern portion of South America. Furthermore, combining linguistic and archaeological lines of research, he explores the patterns of successive migrations and colonization of the Caribbean islands and the linguistic heritage of different pre-Colombian ethnic groups as expressed in the toponymy of this region. His other field of study concerns the influence of, and complex interrelations between, mythology and folk traditions, on one hand, and literature, written history, and cultural heritage, on the other. Other recent publications include The Ouroboros Seizes Its Tale: Strategies of Mythopoeia in Narrative Fiction (2010) and Peopling of the Caribbean (2017). He is currently working on the Dictionary of Pre-Columbian Place Names in the Caribbean.